This phone mount is designed for the MK1 Audi TT. No tools or alterations are needed to install this product, just remove the two centre air vents slide the vents into the oem-mount and install them back into the dashboard. Fiat Ref Number 735645489 & 735664419. New and Genuine Fiat Accessory. (Phone Not Included)! Realizzata con i migliori materiali certificati e garantiti MADE IN ITALY e stampanti di grado industriale. DISPONIBILE ANCHE SENZA SCRITTA "GS". Realizzata con i migliori materiali certificati e garantiti MADE IN ITALY e stampanti di grado industriale. Garmin Nuvi 2577LT 2577 2589LMT 2589 2597LMT 2597 42 44. Windscreen Mount for Another Solution for this windscreen mount This is a Non-OEM Mount, only for second card or lost original mount. Fit your mount on dashboard with this Dashboard Disc . This phone mount is designed for the Audi A1/S1. 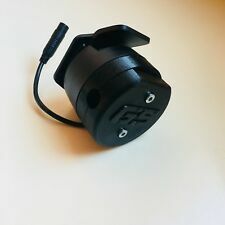 No alterations are needed to install this product, just remove the two centre air vents, place the oemmount and install them back into the dashboard. - Reduces screen glare from bright sunlight during the day - Reduces reflection on the windshield when driving at night - Elastic straps provide secure and flexible grip - Can be left fitted when the Sat Nav is not in use or easily removed if needed - Genuine Digicharge branded product Click to watch the product video With this really handy device you can improve the visibility of your Sat Nav during the day and get rid of that annoying and distracting reflection you get on the windscreen when driving in the dark. 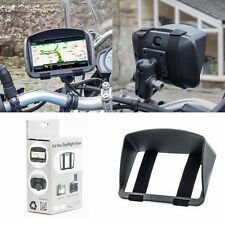 This design is unique to Digicharge and offers an improved fitting solution compared with other Sat Nav visors available on the market, whereas they use clips or legs which can easily break and don't offer the most secure fit, this strap . Alfa Ref Number 735645489 & 735664419. 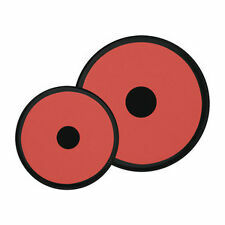 New and Genuine Alfa Accessory. (Phone not included)! We are a main dealer for our franchised vehicles. Biete eine TomTom KFZ - Aktivalterung ( mit Ladefunktion ) passend für Rider 2, Urban Rider zum Kauf an. SAT NAV MOUNT - 25mm / 1" RAM BALL - STAINLESS BOLT MOUNT. NEW IMPROVED DESIGN WITH SOFTER GRIP HARD RUBBER BALL. It is all stainless steel construction, except the ball which is high impact rubber. 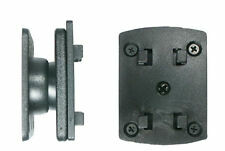 30mm (The one shown in the photos and fitted to a BMW R1100RT). PRODUCT DETAILS Makes viewing your Sat Nav screen easier in bright sunlight (reduces glare) Eliminates annoying windscreen reflection when driving at night. Easy to install and remove. Digicharge's Unique design uses straps to hold the shade in place instead of clips so the shade definitely can't fall off in use. Specifically designed by Digicharge for the 6 Inch visual screen (measured diagonally) Sat Navs. The only true 6'' sunshade we know of on the market. 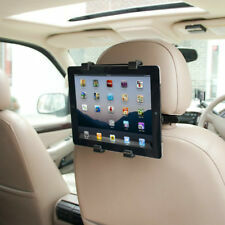 The more common 7'' shades are not an ideal fit for 6'' Sat Nav's and can let light in from the edges. The 65mm deep peak provides the best shade and best reflection blocking that we know of. 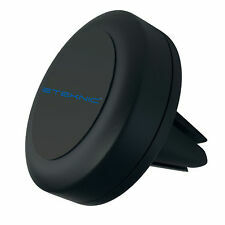 Made from high quality black ABS moulded plastic. Please Read Below for instructions on how to fit: Designed to rest on the front of. GARMIN DriveSmart 51 LMT-D. GARMIN DriveSmart 51 LMT-S. GARMIN DriveSmart 61 LMT-D. You can connect this clip to the universal ball joint of your Garmin windscreen mount or air vent mount. This is a Non-OEM Mount, only for second card or lost original mount. Applypressure for 60 seconds. Then Peel off the sticker from 3M Sticker and place it on the back of the magnetic holder. Apply pressure for 60 seconds. Then Peel off the other side of the 3M sticker and stick it to the location where you want to put the holder. Garmin nüvi 600, 610, 650, 660, 670, 680. Garmin nüvi 200, 200W, 205, 205W, 215T, 250, 250W, 255, 255W. Garmin nüvi 260, 260W, 265, 265T, 265WT, 270, 275T. Garmin nüvi 300, 310, 350, 360, 370. Garmin nüvi 400, 465, 465T, 465TF, 465LMT. 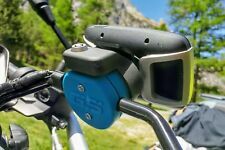 1 X TOMTOM RIDER MOTORCYCLE MOUNT. MOTORCYCLE MOUNT USE YOUR TOMTOM RIDER ON MULTIPLE BIKES. COMPATIBLE WITH RAM MOUNT. COMPATIBILITY LIST -. 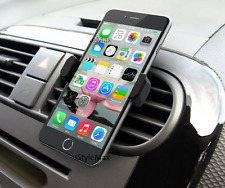 This phone mount is designed for the Audi TT MK2 (8J). No tools or alterations are needed to install this product, just remove the two centre air vents slide the vents into the oem-mount and install them back into the dashboard. Garmin nuvi 205 205W 250 250W 255 255W 260 260W 265T UK. This is a Non-OEM Mount, only for second card or lost original mount. Windscreen Mount for Another Solution for this windscreen mount Fit your mount on dashboard with this Dashboard Disc . Windscreen Mount for Tomtom. Tomtom Go (Old version) 520, 530, 630, 720, 730, 920, 930. 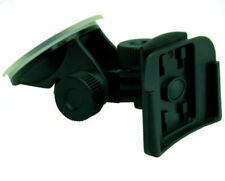 This windscreen mount is only for This is a Non-OEM Mount, only for second card or lost original mount. One holder sealed in bubble envelope. L'ADATTATORE E' STATO IDEATO PER POTER MONTARE COL.
High Quality Manufacture. Anti slip base for secure grip. Smooth mount pad Suitable for every suction cup up to diameter of 60mm. Weighted beanbag stops sliding on corners - Enables You To Mount Your Sat Nav Without Leaving Tell Tale Ring On Windscreen. This phone mount is designed for the Audi TT MK1 (8N). No tools or alterations are needed to install this product, just remove the two centre air vents slide the vents into the oemmount and install them back into the dashboard. 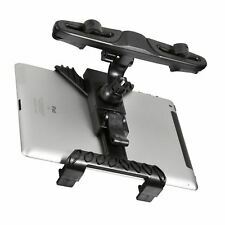 Features - Anti Slip Base for secure grip - Weighted Beanbag stops sliding on corners - Smooth Mount Pad Suitable for Every Suction Mount This high quality in car dashboard holder mount is sturdy and durable and is compatible with any device which uses a suction mount. Below is a list of just some of the devices for which this product could be used: TOMTOM ONE SERIES ONE Europe 22 Assist、ONE Regional Assist、V1、V2、V3、V4、125、130、130S... GARMIN nuvi 200 205 215 250 255 260 265T 270 275T... NOKIA N95, N95 8GB, N96, N81, N82, N70, N73, N76, E65, 5300, 5610XM, 7610, N78... MOTOROLA E8, V3, V3i, V8, V9, Q8, Q9, A1800, A1600, A1200... SONY ERICSSON W580i, W810c, W908, W910i, W980i, K850, G900, X1... SAMSUNG SGH-G800, . S, XXL 535. T, XXL 540. S, XXL 540. XL V2, XL 325, XL 325. S, XL 325 SE, XL 330. S, XL 335. S, XL 340. S LIVE, XL 350. This phone mount is designed for the MK1 Audi TT. No tools or alterations are needed to install this product, just remove the two centre air vents slide the vents into the oemmount and install them back into the dashboard. All balls are provided with a rubber ring and therefore are non-slip and vibration-damped. The set includes a 25 mm receptacle ball. Mascherina Cradle (culla) UNIVERSALE RAM-HOL-UN7BU RAM X-Grip ™ con attacco ad ics per tutti i tipi di PALMARE PDA, cellulari, smart-phone, lettori mp3, con incluso l'attacco a sfera nel retro. Compatibile e intercambiabile con tutti i supporti ram-moun. Garmin nuvi 56LMT. Garmin nuvi 57LM. Garmin nuvi 57LMT. Garmin nuvi 58LM. Garmin nuvi 58LMT. Garmin nuvi 56LM. NOTE: This holder is not for Garmin nuvi 40 & nuvi 50. Garmin nuvi 56. 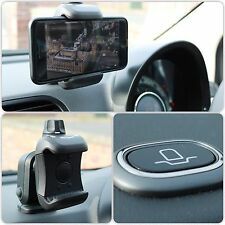 This phone mount is designed for the Audi 8V A3/S3/RS3. No tools or alterations are needed to install this product, just remove the two centre air vents slide the vents into the oem-mount and install them back into the dashboard. Ich biete hier einen originalen VW Campertisch an. Magnetische Halterung für eine schnelle und mühelose Befestigung mit einer Hand. Aktivhalterung für das Armaturenbrett für schnelle und einfache Befestigung mit einer Hand. Zur einfachen Befestigung des TomTom GO in einem zweiten Fahrzeug. Kuda Fix2Car Halter für Apple iPhone Geräte. mit USB-Ladekabel und KFZ USB Adapter (2,1A). Der Halter verfügt über ein Apple MFi zertifiziertes USB-Ladekabel. Produkt: Gerätespezifischer Ladehalter. Das Gerät lässt sich einfach von oben in den Halter einschieben. Wir sind eine auf VW und Audi spezialisierte Kfz-Werkstatt und kaufen unsere originalen Ersatzteile ausschließlich bei VW und Audi. VW Lupo ab 1998 - 2006. Magnethalterung für alle Handys. Zierblenden um Lüfterdüsen Mitte. Zierblenden um Lüfterdüsen links. 1 Magnethalterung mit Gegenstück. Zierblenden um Lüfterdüsen Rechts. Geeignet für alle Handys. Diese Halterung wird einfach zwischen die Düsen gesteckt. No tools or alterations are needed to install this product, just remove the two centre air vents slide the vents into the oemmount and install them back into the dashboard. Cradle opens to 3.5". This phone mount is designed for the Audi TT MK3 (8S). No alterations are needed to install this product. First remove the rear heater switch with the tool provided. Then remove the vent closest to the driver followed but pulling the middle vent slightly out, not too much just enough to slide the mount behind then reassemble. Ihr Ergebnis: Sie haben eine fahrzeugspezifische Tüv-Geprüfte KUDA Konsole. Die Kanten sind abgerundet, das Material ist splittsicher. Kuda Konsole. Material: Kunstleder Schwarz. Das Bohren von Löchern in der Armatur entfällt. GARMIN MONTANA MOTORBIKE MOUNT WITH HARDWIRE KIT / SCREEN PROTECTORS. AUDIO OUT JACK. (NEED RAM KIT). This phone mount is designed for the Audi Q2. No tools or alterations are needed to install this product, just remove the two centre air vents slide the vents into the oemmount and install them back into the dashboard. Ihr Ergebnis: Sie haben eine fahrzeugspezifische Tüv-Geprüfte KUDA Konsole. Die Kanten sind abgerundet, das Material ist splittsicher. Kuda Konsole. Das Bohren von Löchern in der Armatur entfällt. Ihr Ergebnis: Sie haben eine fahrzeugspezifische Tüv-Geprüfte KUDA Konsole. Die Kanten sind abgerundet, das Material ist splittsicher. Kuda Konsole. Dacia Duster ab 2018 (2. ). Die 4-Krallen-Raster-Platte (vorne links) läßt sich um 360° drehen. Kuda Konsole. Material: Kunstleder Schwarz.